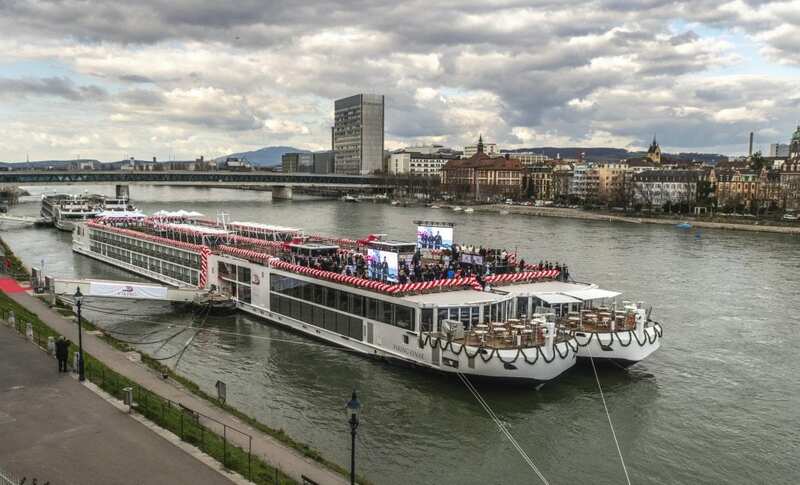 Viking Cruises today welcomed the latest additions to its river fleet, with the naming of seven new river ships during a celebration on the Rhine River in Basel, Switzerland. Of the seven ships, six are Viking Longships – Viking Einar, Viking Sigrun, Viking Sigyn, Viking Tir, Viking Ullur and Viking Vali – which will be deployed on Viking’s most popular itineraries on the Rhine, Main and Danube Rivers. The seventh new ship – Viking Helgrim – was inspired by the Longships design and built specifically for the Douro River, bringing the company’s total number of sister ships in Portugal to four.